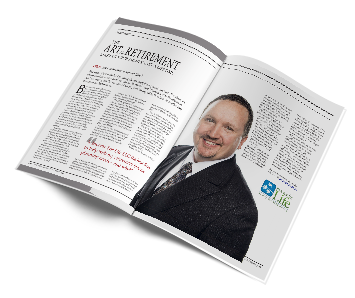 Looking for the best way to optimize your income for retirement in Kansas City? It’s well known that an annuity can be a great way to do it, but how do you find the top rates? Instead of letting your money sit in a savings account, where it will earn very little interest, getting an annuity can be a powerful way to guarantee a higher monthly payment throughout your retirement. When you are looking for the best annuity rates in Kansas City, choose Income For Life. Income For Life is proud to be able to offer guidance to customers in Kansas City on the right annuities for their portfolio. Here are some of the things that we’ll help you to do when you work with our financial advisors. Learn how to not only pick the annuity with the best rates, but also pick the right type of annuity. Avoid the type of retirement plan where you find yourself hoping you die before your money runs out. That’s just messed up. Discover why it matters which company issues your annuity, and learn how to make the trade-off between company stability and a higher payment. Get advice on what percent of your money should go towards an annuity, ensuring that you have cash for unexpected expenses. Learn how to time your annuity just right to optimize the payout. Why struggle alone with the choice of which annuity to select? With approximately 2,000 options in the marketplace, most people simply don’t have the time and energy for that. Instead, let Income for Life help. We’ll make it simple for you to get the right annuity.